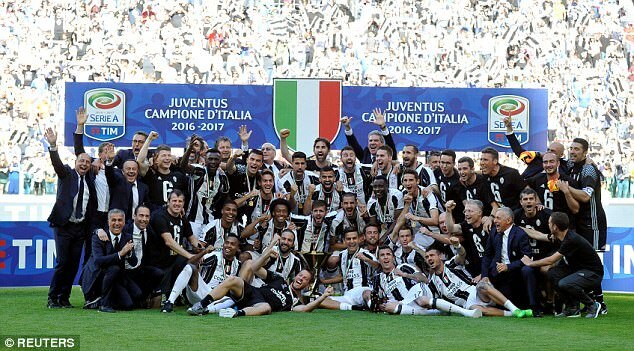 Juventus have become the first club to win the Serie A title six years in a row by beating Crotone 3-0. 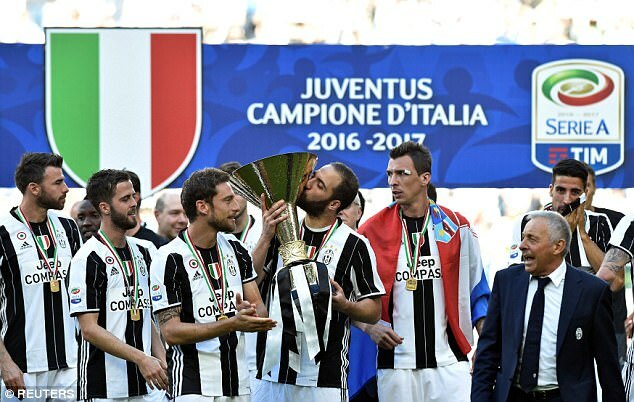 Even though Roma closed to within a point of Massimiliano Allegri’s leaders with victory at Chievo on Saturday night, success in this penultimate fixture of the season saw Juve retain the Scudetto. 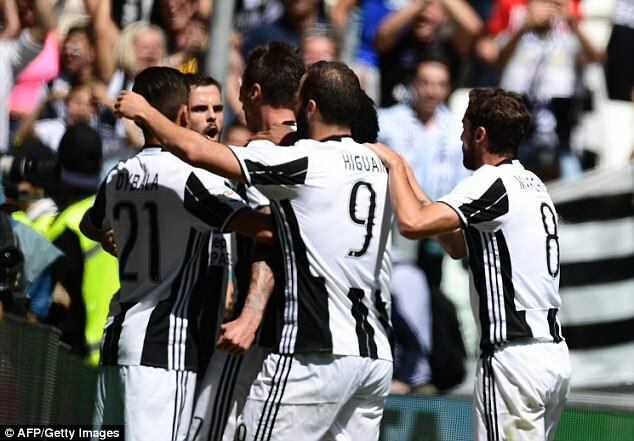 On his 31st birthday, Croatian striker Mario Mandzukic banished any fears about an afternoon of struggle with the opening goal, and Paulo Dybala eased any latent jitters with a well-taken second. 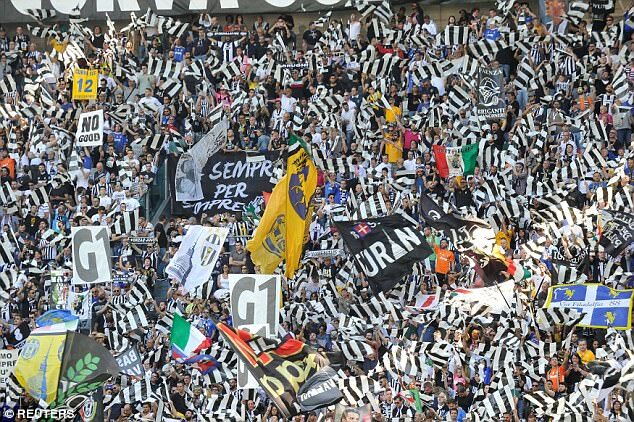 SUBS NOT USED: Neto, Audero, Asamoah, Chiellini, Kean, Khedira, Lichtsteiner, Mattiello, Sturaro. SUBS NOT USED: Festa, Viscovo, Claiton, Cuomo, Dussenne, Kotnik, Mesbah, Suljic, Trotta. 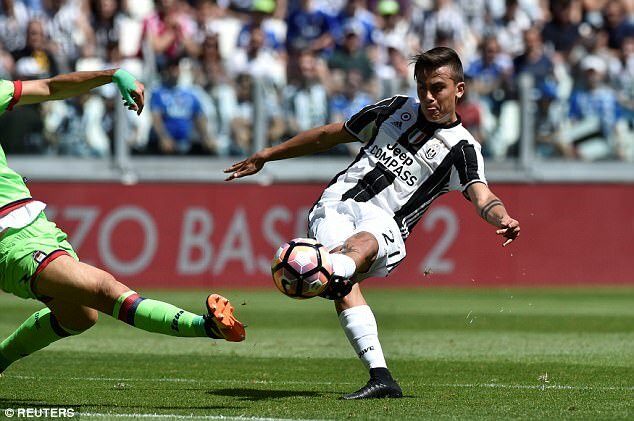 With time running out Brazilian Alex Sandro added gloss to the scoreline as Juve wrote a new page in the history of Italian football. 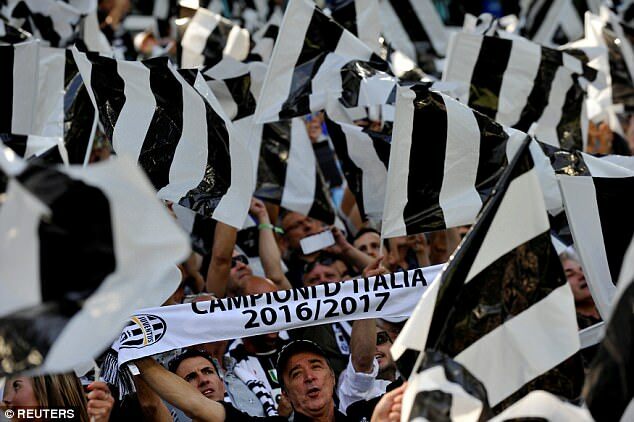 Having wrapped up the championship and clinched their third consecutive Coppa Italia over the last few days, Juve’s focus must now turn to their Champions League final meeting with Real Madrid. The defeat was not quite a death knell for relegation-threatened Crotone, who remain a point shy of Empoli and safety heading into their season-ender against Lazio next weekend. 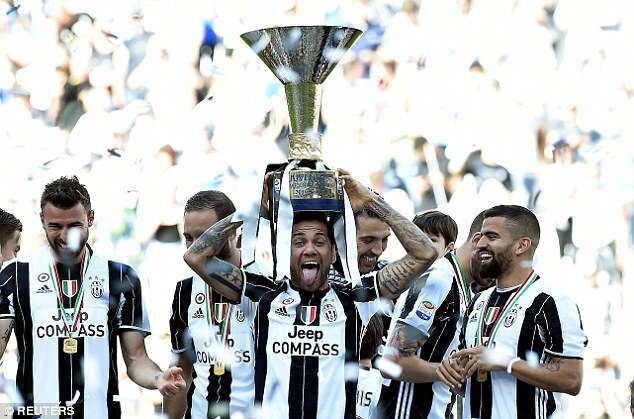 Despite their lowly status, Crotone arrived in Turin riding a seven-game unbeaten run that featured five wins, allowing the promoted side to dream of securing a second stab at life in the top flight. 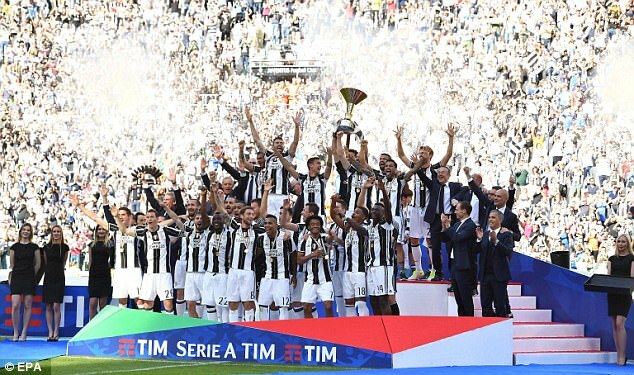 The division’s form team were never likely to upset the odds at Juventus Stadium, however, and it took the Bianconeri only 12 minutes to get on the goal trail and en route to a sixth straight title. Crotone had adopted a defensive approach for the opening stages but it could not keep Juan Cuadrado from storming down the wing to pick out Mandzukic for a clipped finish at the far post. The birthday boy had tucked home after Cuadrado’s cross had evaded Gonzalo Higuain, and the Argentinian tried to cover for his shortcoming by testing Alex Cordaz in the 23rd minute. Crotone defender Federico Ceccherini then managed to get his head to the ball before Higuain could do some damage, yet Juve’s second strike was just over the horizon. With 39 minutes played, Dybala steered a sumptuous free-kick over the wall and beyond a stationary Cordaz for a goal that almost certainly confirmed Juve’s domestic dominance for another year. Visiting goalkeeper Cordaz did better when play resumed after half-time, the former Inter Milan trainee using his knee to deflect a Cuadrado effort out for a corner. 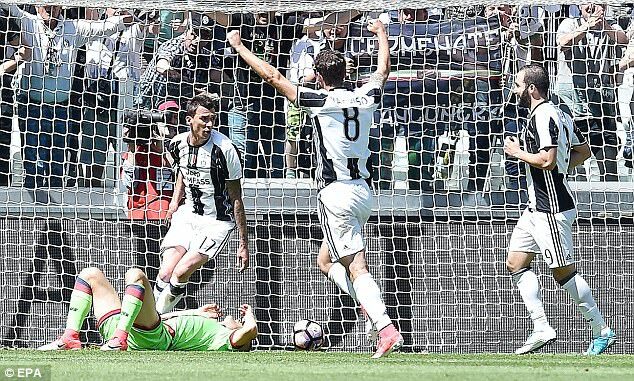 Knowing their hopes of recovering to spring a surprise against the Bianconeri were as good as dead, Crotone attempted to strangle the game in midfield, hoping they could at least avoid conceding again. A rare break into the Crotone box saw Higuain fluff his lines in the 75th minute, but Miralem Pjanic was available to seize possession and crash the ball inches wide of the post. Although positive vibes were smothering any lingering nerves among the home faithful, a killer third was always going to help get the party started and, with seven minutes left, it arrived. Alex Sandro needed goal-line technology to confirm that his header against the bar and down on to the pitch had crossed the line entirely, but he was already busy celebrating by the corner flag. 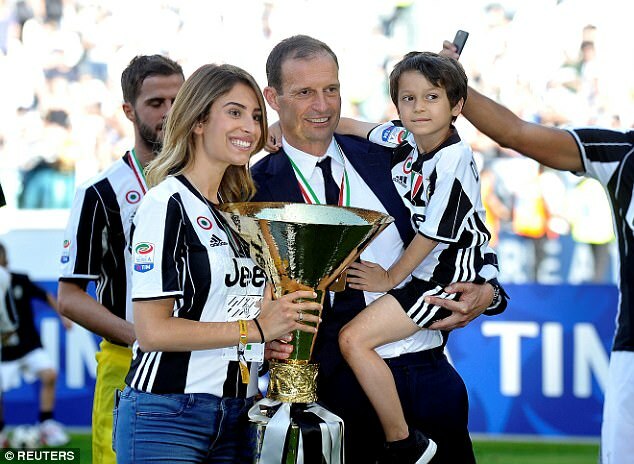 With part two of a potential treble sewn up – and with next Sunday’s trip to Bologna a mere formality – Allegri can concentrate his troops’ minds fully on the Cardiff showdown with Real on June 3.